Of our three 2006 designate Pinots this Aidan bottling is currently the most aromatically expressive and is naturally and perfectly reflective of this more red-fruited, forward vintage. Overflowing with punchy bright red-fruit sappiness and energy throughout, the wine perfectly showcases the vintage's brisk youthful mineral intensity. The front palate offers an alertness and refreshing elegance that is captivating and jolts the palate awake. 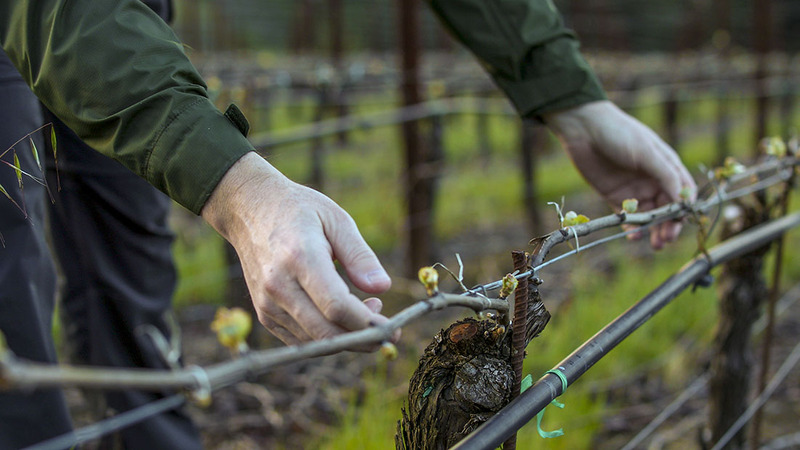 There is however, plenty of richness to the mid-palate that is the result of the modest yields to which we limit these neighboring vineyard sites. This year the warmer south-facing Pommard block at Sundawg Ridge dominates the wine's aromatic profile and front palate sweetness. Wildrose then takes control to expand mid-palate density and concentrate the back end with an assertive combination of lively acidity and an unusually broad tannic frame that is the hallmark of this cooler, later-ripening site. The wine is at once tightly coiled promising hidden delights, then explosive, overt and chewy before regaining composure to highlight subtlety and nuance – yet it remains integrated and balanced throughout. Garnet red. Heady, floral and vibrant with crunchy red-apple aromas, cola and a fresh mineral core. Red fruit purity dominates then violets and great inner-mouth perfume. Initial liveliness expands to chewy ripe summer fruits and succulent texture. Remains elegant and complex on the long satisfying acid-driven finish that promises strong future aging potential. Drink young for its sheer freshness and energy or between 5 and 7 years to allow maturity to broaden the wine's inherent texture.